Choosing which web analytics tools you want to use for your website can seem overwhelming with so many options to choose from. There is a wide array of excellent candidates to choose from. When you choose a web analytics solution, you are not simply just choosing a provider, you are essentially choosing a data gathering and reporting system, which makes it all the more critical for you to choose the right one. The first step in choosing the right web analytics tools is not to begin with the tools themselves. Instead, you are going to need to take an honest assessment of what your needs are. Here are some questions that you should be asking of yourself. What are the kinds of decisions that are made on a daily, weekly, or monthly basis that will impact how my site appears and performs? How is my site content designed? How often should it be visited for improvement? What are the financial incentives for my business’s performance? What is the primary motivation of my employees who will be working with the web analytics tools? How technically skilled are the individuals in charge of my website? Asking these questions reminds us that we are looking for a tool that is going to add value to the functionality of our website, rather than just generate more reports. Once you begin experimenting with web analytics demos, then you can start focusing on questions about how to improve conversion rates, budget distribution, and improving the number of page views per session. Most web analytics tools are going to display the same, primary information. What is going to differentiate the best tool for you is how it combines the various pieces of information that you give it, which is going to provide you with a “mechanical” edge over your data. 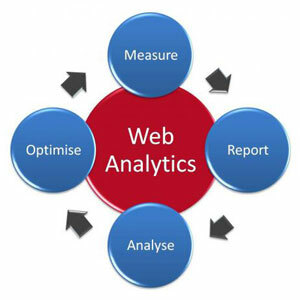 Different web analytics tools are developed with different philosophies regarding how data should be correlated and displayed. This essentially translates into a subtly different experience in cross section views for each tool. The next step in your search is going to be to begin receiving demos from various suppliers. After seeing a few of these, you are quickly going to realize that there is no such thing as the perfect tool. There are going to be questions that you will ask that web analytics tools will not be able to easily answer. It is also going to come as a surprise just how robust some of the free web analytics tools on the market are. In fact, these free tools can provide an excellent option for newbies. More sophisticated tools can be employed when needed as your business grows. In some cases, PPC tools experts consider the implementation phase to be just as important, if not more important, than the actual tool you have chosen. A professional and experienced analyst is going to be able to derive more valuable information from a 10 year old than from a web analytics tool that has not been properly implemented. Without question, the quality of your implementation is going to provide the biggest barrier when it comes to obtaining the maximum amount of value from your web analytics tools. If not done properly, then your business is going to suffer from hours of reconciling data, arguments, and of course, a loss of sleep. Web analytics tools may seem difficult to master at first, but with a little time and effort, you will find that they are not all that hard to use. It is going to be important for you to ensure that your employees receive adequate training to ensure that they will be self sufficient when it comes to using these tools. The right web analytics tools are going to save your company time, not generating more work for your company.